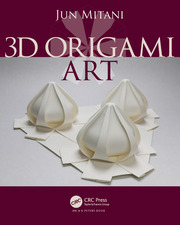 The origami introduced in this book is based on simple techniques. Some were previously known by origami artists and some were discovered by the author. Curved-Folding Origami Design shows a way to explore new area of origami composed of curved folds. Each technique is introduced in a step-by-step fashion, followed by some beautiful artwork examples. A commentary explaining the theory behind the technique is placed at the end of each chapter. Jun Mitani is a professor of information and systems in the Faculty of Engineering at the University of Tsukuba. Dr. Mitani was previously a PRESTO researcher at the Japan Science and Technology Agency, a lecturer in the Department of Computer Science at the University of Tsukuba, and a postdoctoral researcher at RIKEN. 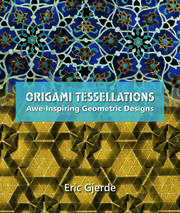 His research focuses on computer graphics, including computer-aided origami design techniques. He is also the author of 3D Origami Art. 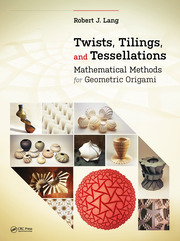 "This is a beautiful book; the lovely photographs and copious examples of curved-folding concepts make it the perfect jumping-off point for the curved-folding artist." 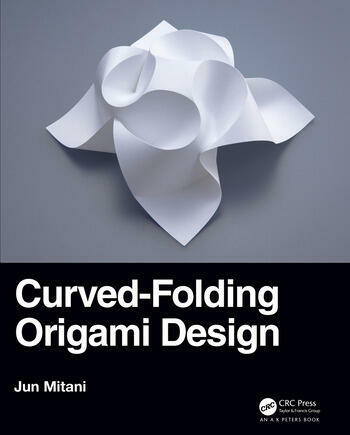 "Mitani-san's concise book is a must-have for anyone wishing to learn the science and art of curved folding. He has the enviable knack of making this enigmatic technique easy to control, fun to try and visually dazzling."